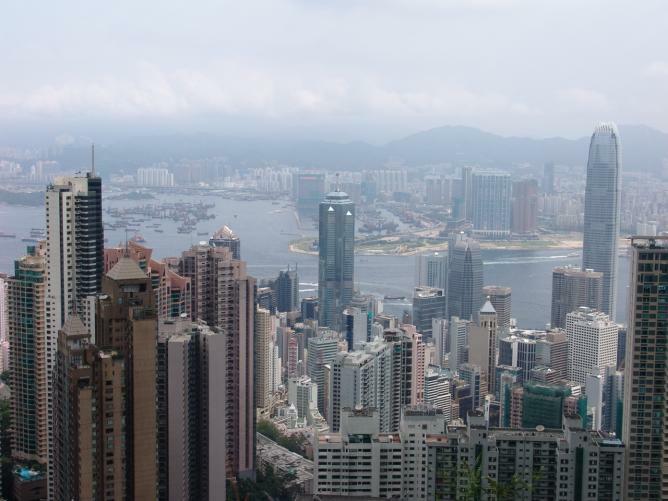 Hong Kong is a place of great dynamism and culture, filled with both contrasting and complementary elements that combine to produce vibrant color and artistry. With a skyline that is considered to be one of the best in the world, it’s unsurprising that locals are proud of the state’s architectural prowess. Culture Trip takes a look at the ten architectural sites that best represent this incredible mixture of traditional design and contemporary flair. Once the headquarters for the Hong Kong Marine Police, 1881 Heritage is now considered a building of great historical interest, having been carefully preserved and renovated. 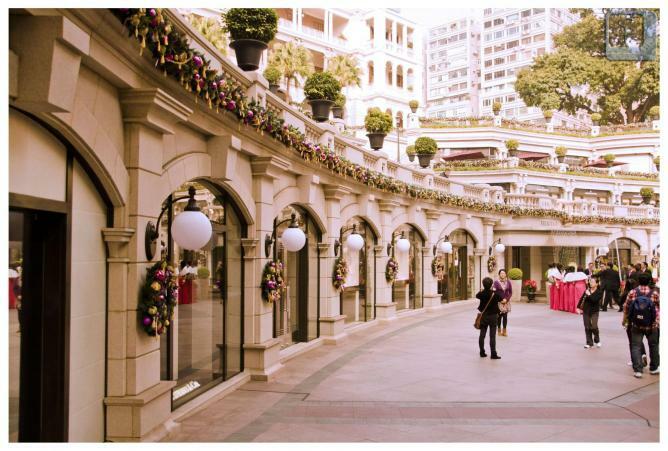 The site itself is a unique reflection of Victorian-era Hong Kong, now hosting a shopping mall, a heritage hotel and an exhibition hall. This infiltration of modernism is very much in keeping with the essence of Hong Kong: preserving tradition whilst seamlessly assimilating the old with the new. A gorgeous combination of Victorian colonial and neo-Classical architecture, the 1881 Heritage Building is a perfect example of architecture that is particularly striking in design. The venue is also riveting for its unique history, as it was once the holding place for prisoners, ranging from smugglers to pirates. 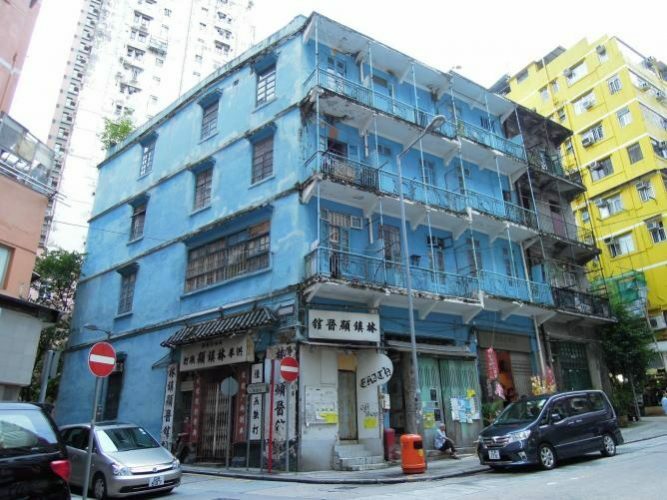 Noted for its unintentionally vivid exterior – the striking blue was not intended to be a deliberately confronting move, rather it was the only color the decorators had to hand – The Blue House is a relic of 1920s architecture cheerfully blending aspects of both Western and Chinese Architecture. Also known for housing a kung-fu studio in the 1950s and 1960s, the site still has occupants residing on a permanent basis – despite the lack of modern flushing toilets. Blue House is also renowned for hosting the Wan Chai Livelihood Museum, where visitors can take a closer look at the typical living quarters that characterize the space. A landmark in its own right – and the fifth highest skyscraper in Hong Kong – The Center‘s structure is made entirely out of steel, and stands at an incredible 350 meters tall. It is perhaps best-known for being part of the nightly light show performance occurring over the Victoria Harbor, a feat that is made possible through the scientific ingenuity of having low-voltage neon bars interwoven into the infrastructure of the building. These bars increase in number with the increasing height of the building. An impressive edifice constructed by Dennis Lau and Ng Man Chun Architects, the Center is a triumph of modernist architecture and scientific prowess. 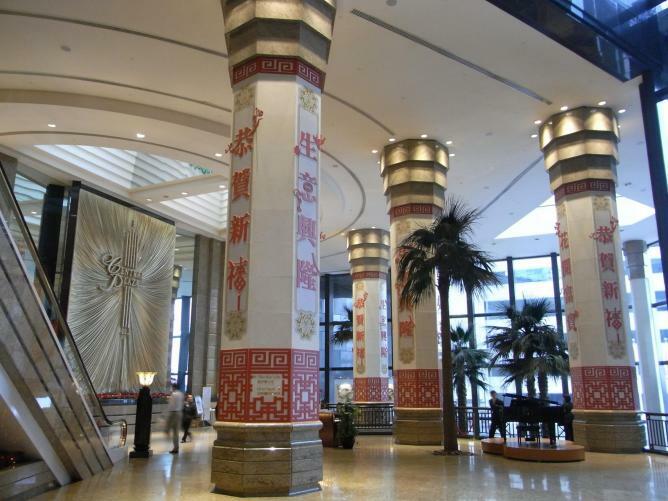 Also designed and constructed by Dennis Lau and Ng Chun Man, The Central Plaza building is another wonderful homage to modernist and post-modernist architecture, though the inner lobby resembles a Renaissance marble palace, complete with paintings and exotic palm trees. Built on reclaimed land in Wan Chai North, the building is also known for having bright neon rods placed at the top of the building which, when night falls, keep time through the quarter-hourly changes in color. The Central Plaza has thus become Hong Kong’s stand-out timepiece, an iconic and large-scale reminder of the continual passing of time. Another great coup in modernist architecture, the Cheung Kong Centre was constructed by acclaimed architects Leo A Daly and César Pelli. 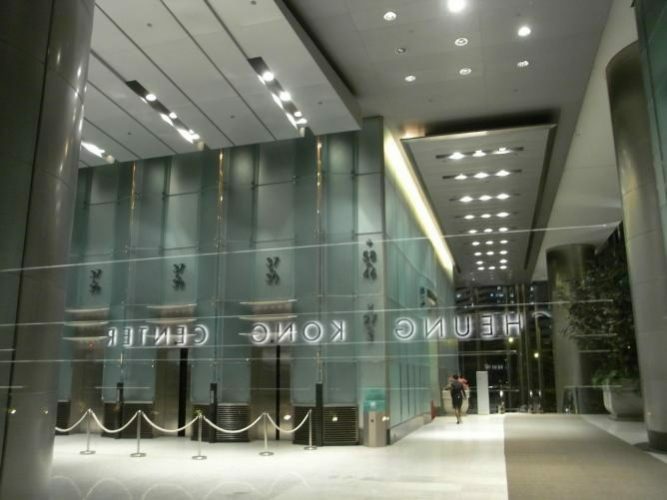 With a facade made purely from reflective glass, interspersed with ‘threads’ of stainless steel, the use of these two highly reflective materials allows the building to become a beacon of light in the evenings, as a computer-controlled optic lighting system makes the building actually glow with an almost heavenly light the moment night falls. The 283 meter building literally glitters in the night sky, providing a visual feast for the eyes. 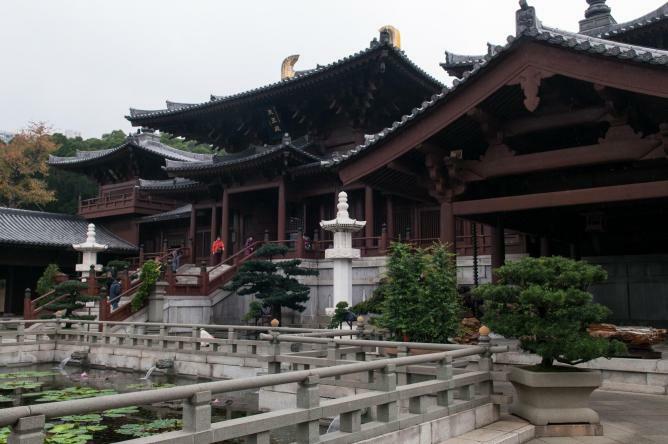 Though founded in 1934, the Chi Lin Nunnery was rebuilt in the 1990s and deliberately designed to follow the style of traditional Tang Dynasty architecture. In following the designs of Chinese architecture, the architects also remained true to the conventions of Chinese construction by using special interlocking systems in the joining of the wooden structures, with no use for iron nails to hold the pieces together – a technique similar to the construction of Chippendale furniture. 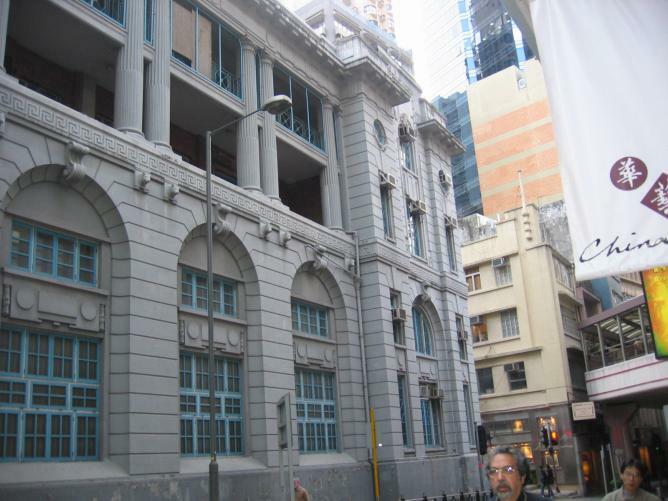 It is now the only set of buildings in Hong Kong that retains this traditional style of architecture, and is thus of great cultural interest to architects and tourists alike. As well as an architectural one-of-a-kind, the nunnery is also home to a large Buddhist temple complex covering a space of more than 33,000 square meters. In addition to this, the perimeters of the nunnery are dotted with several interesting and unusual statues made from gold, clay, wood, and stone. Known for its granite and brick structure, the Court of Final Appeal is typical of the neo-Classical style so popular in the Edwardian era. It is rumored that the building is based on a structure that stood nearby, known as Beaconsfield. Initially built by the Mission Etrangères in 1917, the Court of Final Appeal was first used for the French Mission. Now however, it is the headquarters of the Education Department, the District Court, the Supreme Court and the Information Services Department. The Court of Final Appeal will move to a new building in 2015, but this red building itself is still considered a historical artifact of great cultural interest. A wonderful celebration of the broad Chinese tradition of drinking tea, the Flagstaff House of the Museum of Tea Ware is one of the oldest examples of the Greek architectural revival so common in the Colonial Hong Kong of the 1940s. 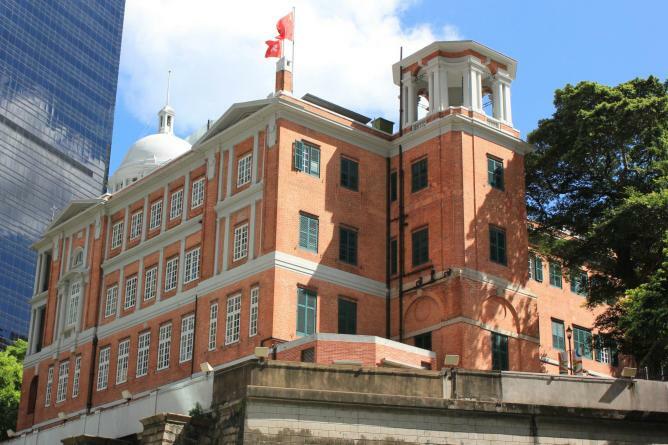 Known for being hit twice by Japanese shells in the Battle of Hong Kong (1941), the building was fortunately repaired with haste, only to then be used by the occupying forces during the war. 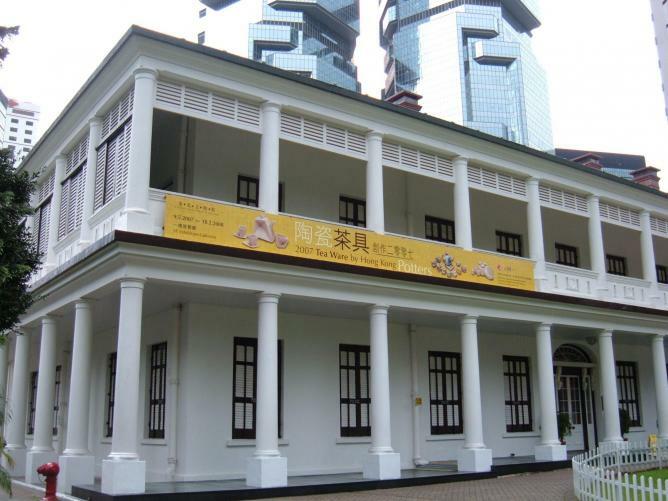 Now a gorgeous relic of Colonial Hong Kong, it was converted into the Museum of Tea Ware in 1984, holding regular demonstrations, exhibition, and programmes on the art of tea-making and ceramic pottery. The eclectic mix of the Sino and Western tradition serves as a wonderful tribute to the contrasting dynamics that exist within Hong Kong itself. Built by Lord Norman Foster, the HSBC Main Building is famous for being a building of great architectural and scientific significance. The space is considered to be at the cutting edge of new-age architecture, as it is the first building made entirely of structural steel, constructed without any reinforced concrete. It is also a scientific marvel due to its use of mirrors, sunshades and seawater to flood the place with natural light, ensuring continual coolness and maintaining consistent circulation of fresh air throughout the building. In addition to this, The HSBC Main Building is also of historical and cultural interest, as the two lions statues – named Stephen and Stitt – have bullet holes and scratches marking the building’s ‘involvement’ in the Battle of Hong Kong (1941). Having been taken to Japan before being saved and brought back to Hong Kong, the lions are now considered lucky tokens by the locals. Comprising of several different parts slowly constructed and combined over a sixty year period, the Old Central Police Station is currently undergoing a serious project of renovation and rejuvenation. The Barrack Block – a three-storey block constructed close to the Victoria Prison – is the oldest structure in the Station, built in 1864. The youngest part, the Headquarters Block, was built in 1919, and is built in a classical style with a grey-and-blue color scheme and Doric- style columns. The building is wonderful evidence of the passage of time and its effects on the mindset and decisions of the different architects who contributed to the building project.